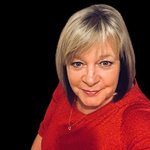 I have over 20 years experience in working office environment at various levels and in a variety of businesses, working as a high level PA, Office Manager & HR Manager. Highly...Read moreI have over 20 years experience in working office environment at various levels and in a variety of businesses, working as a high level PA, Office Manager & HR Manager. Highly motivated and hard working individual with excellent organisational skills, good commercial awareness combined with a lot of common sense and great sense of humour. Easy to work with, picked up the tasks required quickly and accurately. Highly recommended. superb work! will use again! I urgently needed a bookkeeper as the VA I'd been using had decided not to do bookkeeping any more and my accounts were due. I sent my receipts & she started them immediately. 4 days later they were finished. Fast & accurate, taking the stress away from me. I definitely recommend her. Lovely to work with. Recommend. Very pleased with the work Linda did. She understood the requirement and executed it perfectly. Over 1500 invoices individually generated and all within a very short period of time. Will work with Linda again. Did a great job, kept me updated and did exactly what was required.